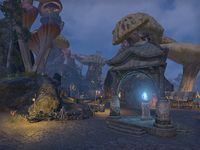 Sadrith Mora is a city found in the Azura's Coast region of northeastern Vvardenfell. The city is the main seat of power for House Telvanni on Vvardenfell, and contains the wizard's tower of Tel Naga. Sadrith Mora Objective: Help the Argonian slave, Sun-in-Shadow, gain her freedom. Rising to Retainer: Help Sun-in-Shadow become a Retainer. Objections and Obstacles: Help Sun-in-Shadow become an Oathman. The Magister Makes a Move: Help Sun-in-Shadow deal with the fallout of her actions against Ralasa. The Heart of a Telvanni: Help Sun-in-Shadow with her fracturing relationship with Eoki. 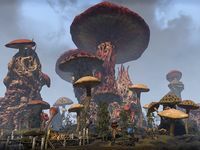 A Late Delivery: Deliver mushrooms to a Telvanni mage. Bound by Love: Help a Dunmer pursue his true love. 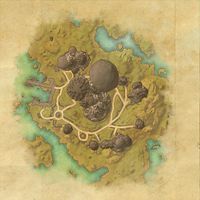 Council House — A multi-room Telvanni-style building found in Sadrith Mora. Sadrith Mora Wayshrine is located within the city, to the southwest of Tel Naga. This page was last modified on 19 November 2018, at 07:17.